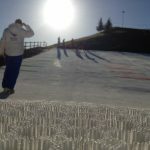 Neveplast’s mission is to realize ski slopes made from synthetic materials that guarantee the sensation of skiing and snowboarding on a layer of compact snow. On Neveplast you can practice the winter disciplines of downhill Nordic skiing and snowboarding anywhere while using normal ski equipment without the risk of damaging your gear. With Neveplast, skiing or learning to ski in the city is no longer a dream as it can be used in any period of the year, in any available space. Together with Neveplast experience the emotion of skiing…. anywhere. 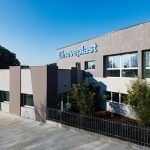 Neveplast always tries to anticipate the needs of the market creating successful products that are a benefit to their clients and the people who use them. Snow has always been the element that Neveplast is compared to and it is also what has been used for researching and developing new products. The adaptability and the technology contained in a mantle of Neveplast gives the company the possibility to realize new and exciting concepts in a wide variety of sports and entertaining amusements. Neveplast is a product of a thousand uses. Neveplast Italia was born in 1998 thanks to the great enthusiasm for alpine skiing of its founders: Aldo, Edoardo and Niccolò Bertocchi. 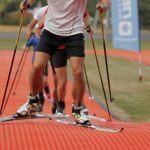 Production of the first ski slopes was started after having created and patented the first plastic material with the same slipperiness as snow. 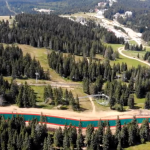 In a short time, thanks to the immediate interest gained and the significant successes obtained with important customers, production was extended to tracks for nordic skiing and snowboarding, by means of the creation of rail-parks. Tubby, the snow-tubing run for summer and winter, was introduced in 2001 and the module for classic technique, nordic skiing in 2005. We are consistent in our strategic choices, aimed at continually improving the processes, active in the involvement of human resources but, above all, attentive over the expectations and needs of customers. This, for us, means “quality” and this philosophy has allowed us flexibility and continuous improvements in company processes. Attention to market developments and continually listening to the wishes of our customers has allowed us to anticipate their requests and trends. The proof is the enormous success of Neveplast products. We believe that making excellent products is essential. But an efficient and prompt customer service is equally important. The company follows the material production, delivery, and assembly stages with particular care. Moreover, thanks to an active and constant relationship with our clients we are able to focus on their expectations and make every effort to completely satisfy them. A rental possibility for all products: alpine skiing, nordic skiing and Tubby tracks. Duration is variable: from a few hours to a month. We can also rent: the metal structure for creating a slope; skis, boots and snowboards; protection systems; audio and lighting systems. The respect and preservation of the natural environment that surrounds us are values in which we believe deeply. This is the very reason we have committed ourselves to reduce the effects due to industrial processes and production materials to the minimum. Neveplast synthetic mantles have received positive certification for their environmental impact and do not contain substances harmful to the environment. Algeria, Andorra, Argentina, Australia, Austria, Bosnia-Herzegovina, Canada, Colombia, Croatia, United Arab Emirates, Egypt, Estonia, Finland, France, Georgia, Germany, Greece, South Korea, Indonesia, Iran, Mauritius, Italy, Lebanon, Lithuania, Latvia, Malaysia, Mexico, Norway, New Zealand, The Netherlands, Polonia, Portugal, Czech Republic, Slovakia, United Kingdom, Romania, Russia, Serbia, Slovenia, Spain, Sweden, Switzerland, Thailand, Ukraine, Hungary, United States of America. Read in detail the general conditions of sale.